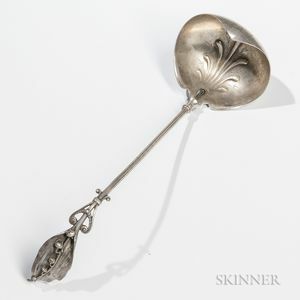 Gorham Sterling Silver Ladle, Providence, late 19th century, with lily of the valley motif to terminal and engraved monogram to bowl, lg. 11 3/4 in., approx. 5.2 troy oz.